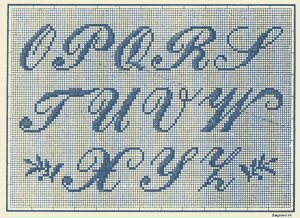 12 page leporello (fold-out booklet) of charted two-color designs for ornate alphabets, floral borders with corners, and stars. 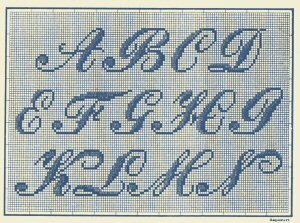 Reverse side blank. 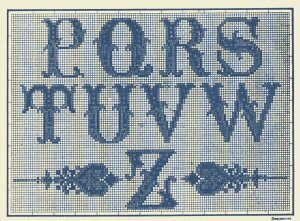 No cover, no number, but without doubt a Heinrich Kuehn leporello. 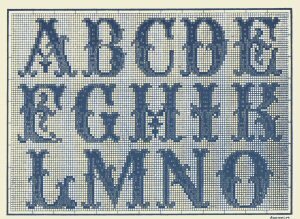 Includes modern recharting. 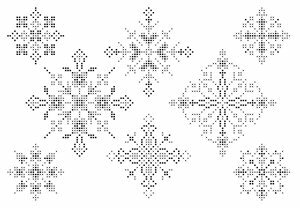 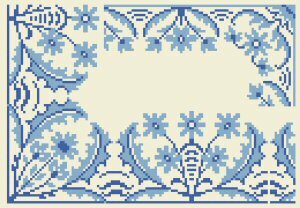 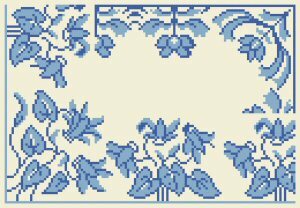 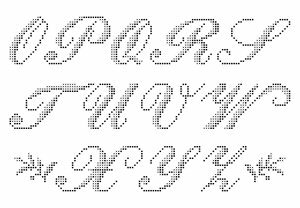 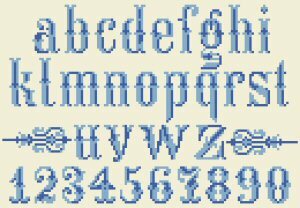 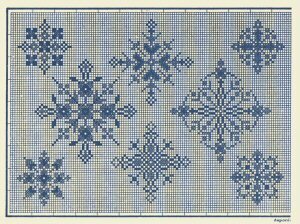 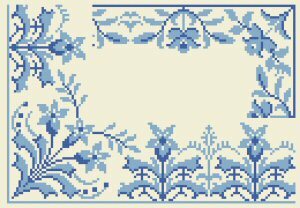 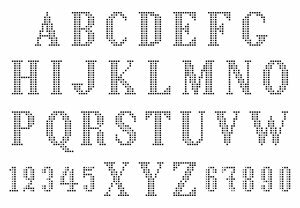 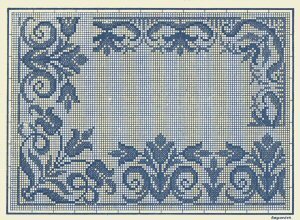 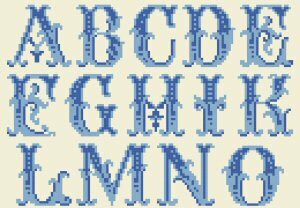 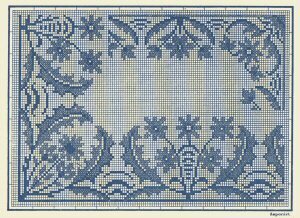 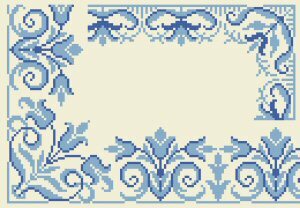 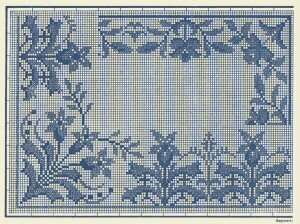 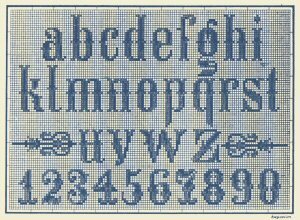 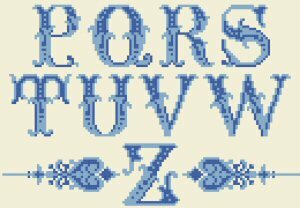 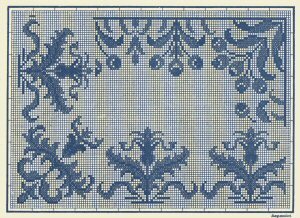 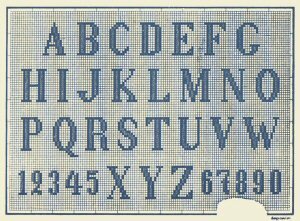 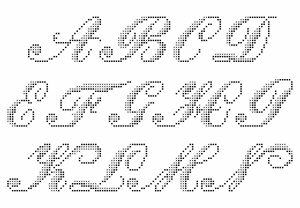 Suitable for cross-stitch, needlepoint, and Berlin woolwork. 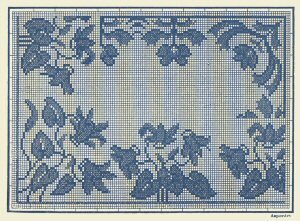 Donated by Charles Kite, from the collection of his grandmother Folva Miller. 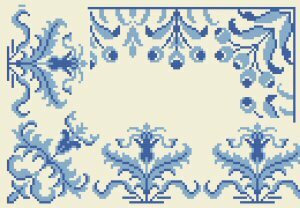 Edited and charted by Sytske Wijnsma.